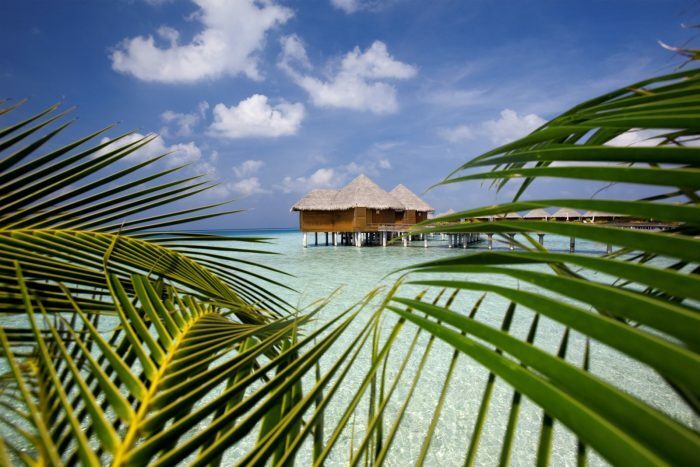 Free Nights Offer – Stay at Baros and receive up to 2 complimentary nights. Please contact us for further details. Offers are subject to availability, and terms & conditions apply. Baros Maldives is an ecstasy, full of natural beauty and discerned intimacy. Clear, warm glittering waters lap against the soft white sands of the island and guests are immersed in alluring beauty. A secluded rapture which is soothing and relaxing, Baros Maldives is a simple yet utterly unique stay. 75 exhilarating, refined villas are chic and lavish in style; providing a relaxing escape. Green foliage and stunning surroundings grace each retreat, as well as private shimmering swimming pools and soft linen canopies. Generous verandas that ooze luxury and outdoor rain showers are fantastic opulent additions. Teak flooring and large windows make guests feel at one with nature. Succumb to the timeless elegance of this sophisticated resort and relish in divine cuisine that is served at the chosen restaurants. The Spa, which is nestled away in lush gardens, is a tropical retreat; nourishing and reinvigorating treatments heighten the experience of Baros Maldives. Free Nights Offer – Get up to 2 Complimentary Nights. Stay 7 nights, pay for 6. Stay 14 nights, pay for 12. Early Booking Offer – Book at least 90 days prior to arrival and receive up to 10% discount on your room rate. Honeymoon Offer – Celebrating your honeymoon at Baros, receive a bottle of Champagne and chocolates on arrival, and a romantic dinner for 2. Tucked away in evergreen plantations, the Spa is an amazingly relaxing haven which is centred on nourishing and revitalising treatments. Four lavish treatment rooms are the resting places for guests as the skilled therapists adopt therapy treatments from around the world. Massages, wraps, facials and scrubs are just some of the holistic treatments to be enjoyed. Be pampered with Ayurvedic treatments, influenced by ancient Indian therapies. Not wanting to leave your private villa, in–villa spa treatments can also be enjoyed. Yoga – The resident yogi is available to balance your chakras, whether in a group or in a private class. Wanting to enjoy the sun set or sun rise too, guests can practice on the beach or the many decks. The Piano Deck – A deck for private, intimate moments with a loved one, the Piano Deck is an endless amorous sanctum. Enjoy a private dinner or encapsulating massage. Serenity Yacht – seaborne experiences in the Indian Ocean are second to none and Baros’ yacht can be chartered for a luxury cruise. Stepping into such opulent secluded luxury at Baros Maldives is an unforgettable experience. Discerning honeymooners are mesmerised by the tranquility of the island and the unending beauty of the Indian Ocean. Exclusive, private moments are many and the beauty of Baros Maldives is glamorous and calming. Earthy villas that are touched with rustic undertones are both luxurious and simple. Thatched roofed villas are set amongst abundant foliage or stilts on the waterfront. The magnitude of beauty is further emphasised by the open air bathrooms that are modern and contemporary in design. Lost in the middle of the Indian Ocean, there is much time to enjoy water sports and diving, spa treatments that will revitalise your mind and body and regional cuisines and fresh seafood that is delectable. Unforgettable moments will be created at Baros Maldives, a retreat designed for a relaxing and enchanting honeymoon. In Room Dining – Not wanting to leave your secluded paradise, delightful dishes are served to your villa for comfort. Dine near the pool or in bed, tasty dishes are rich in taste and colour. The Lighthouse Restaurant – overwater this is a fantastic evening. Flavoursome dishes are served with gourmet salads to create gastronomy delights for feasting. Crisp wines and cocktails are served to compliment your dishes. Cayenne Grill – Dining al fresco above the lagoon, where seafood, fish and meat is served with full bodied sauces. Teppanyaki dining and the wood fired oven form centre pieces for this wonderful Grill.